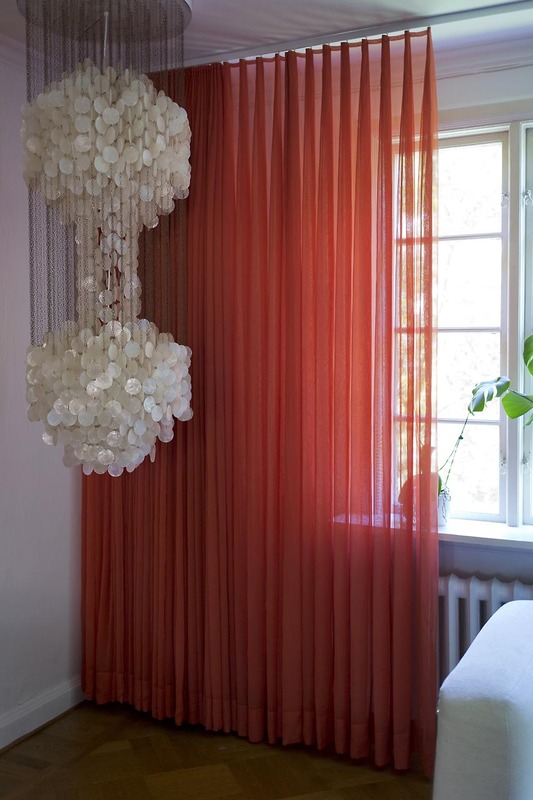 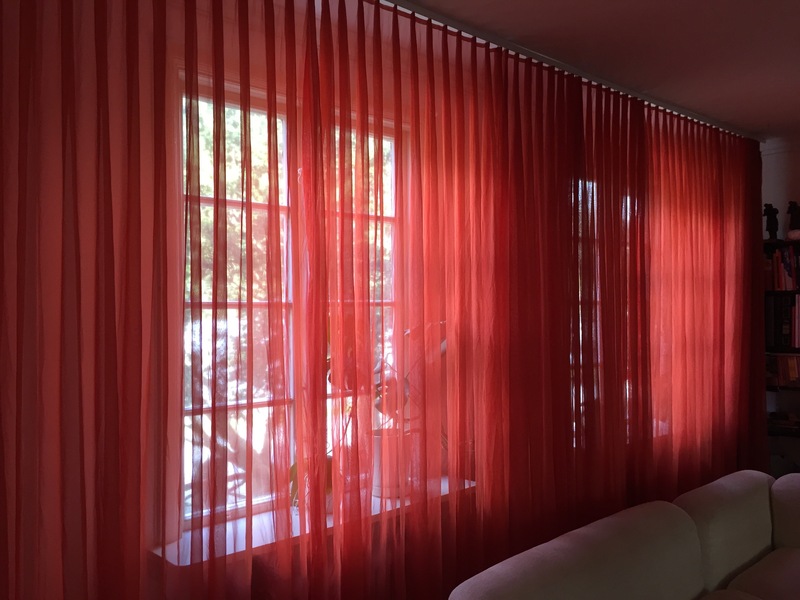 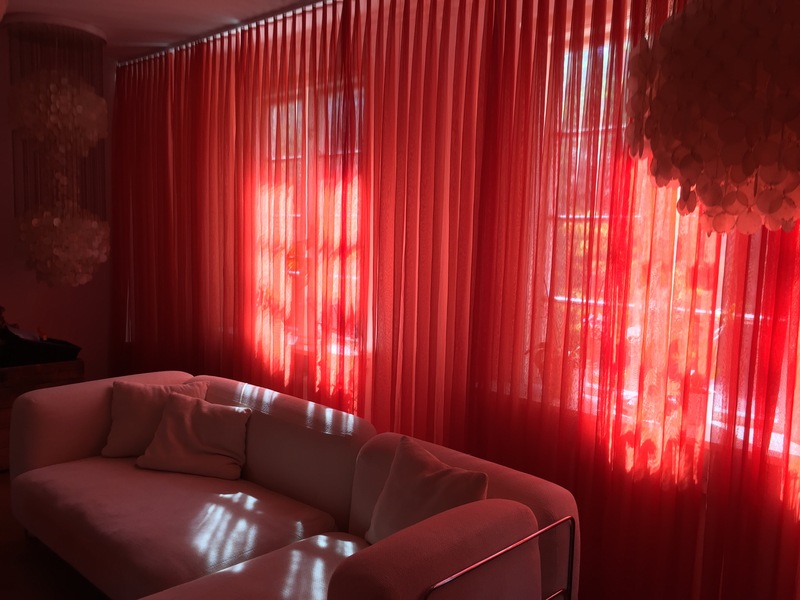 These red-orange Mira Tülle curtains comes from a co-worker to Verner Panton. 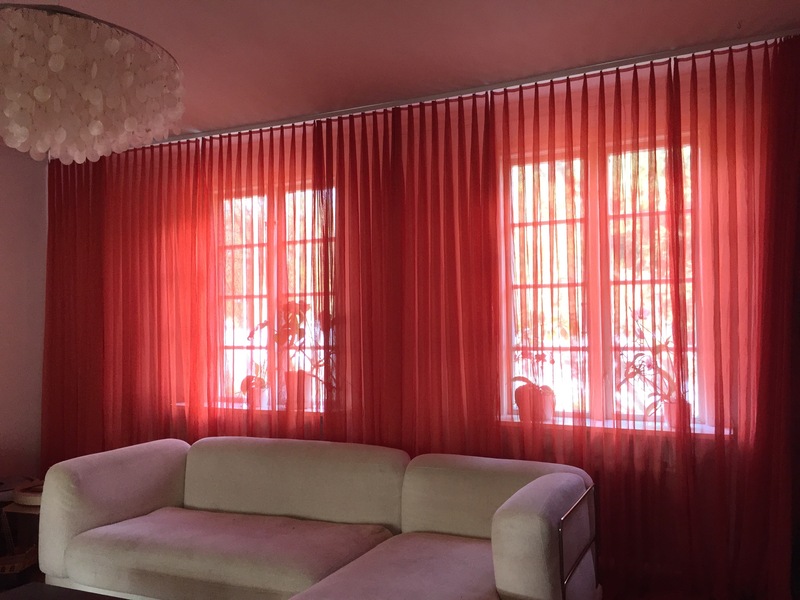 They are over 25 meters wide when the fabric is folded out. 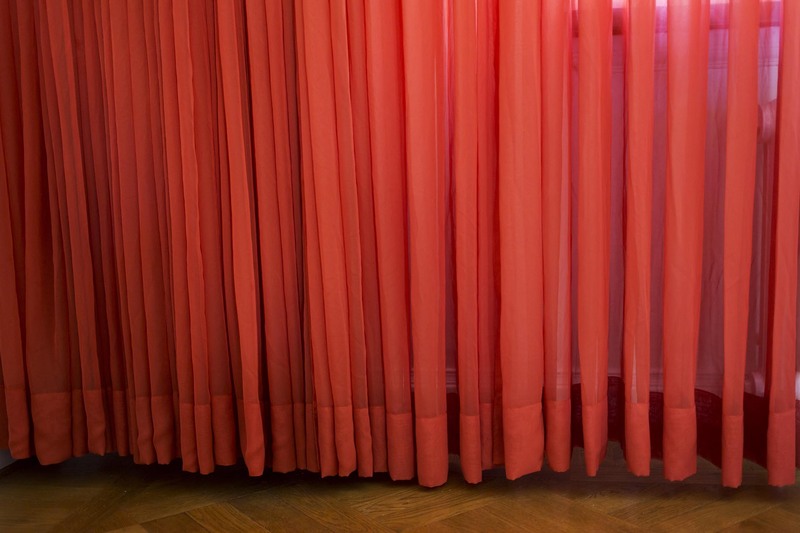 They earlier hanged in a Swiss canteen but was taken back when re-designing the canteen again.